Housebuilder Berkeley has warned stamp duty is suffocating the London housing market as it saw a revolt over a £28million payout to its bosses. Official figures have shown prices in the capital are falling at the fastest pace since the financial crisis, which Berkeley blamed on stamp duty rises introduced in 2014 by then-chancellor George Osborne. Its warning came as nearly 8 per cent of shareholder votes were cast against a pay report at its annual general meeting. Berkeley’s seven executives were handed £28.3million overall for the year to April 30. 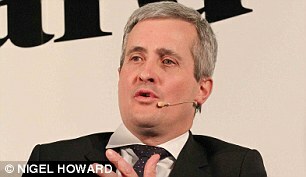 The group has warned of a profits dip next year of around 30 per cent after a 15 per cent surge in the year to April.